* The word millennium Latin origin, is an exception and plural forms in a special way (sg. Millennium — pl. Millennia). ** Please note that in contrast to the Russian language, where the word of the decade is 10 days, the English word decade means 10 years. If we talk about the phase (phase) as a moment or a particular stage (stage) of a number of events (series of events), it can be the starting (initial), intermediate (intermediate) or final (final). He began to study English silently with books. It felt right at the time. — He began to learn English from books in silence. At that moment, it seemed right to him. He remembered that at one time his father learnt English in the same way — he remembered that once his father taught English in the same way. He did not know that the way he was studying English was far behind the times. — He did not know that the way he teaches English, much outdated. At times he needed help but there was nobody to assist him. — Sometimes he needed help, but there was no one to help him. He was pressed for time because he was going to the conference to London in two months and he was studying English and preparing for the conference at the same time. — Time is running out, because he was going to go to a conference in London in two months, and he was teaching English and preparing for the conference at the same time. He came back to the same unclear grammar explanations time after time. — He came back to the same obscure grammar explanations over and over again. After a week of study, he met his college mate Mary, who was eager to help him with English for old time’s sake (as he helped her a lot with Maths during college years) but everything was useless — Mary forgot English! — After a week of study, he met a classmate Mary, who really wanted to help him with the English old friend (he’s great help Mary with mathematics while studying at the college), but to no avail — Mary forgotten English! Once he met his fried who told him that it was about time to find an English-speaking teacher. — One day he met a friend who said that it’s time to find an English-speaking teacher. He made ​​the appointment and met his new teacher on time. — He set up a meeting, and at the appointed time to meet with the new teacher. He explained to his teacher that he did not have bags of time. — He told the teacher that he does not have plenty of time. He succeeded to learn the language in no time. — He was able to learn the language as soon as possible. He packed his luggage and successfully departed to London in the nick of time. — He put the luggage and successfully went to London at the last minute. Later, after coming back from London, he told his father that all was in good time and silent learning of English with books was popular for the time being. — Later, on his return from London, he told his father that all the time, and the study of English silence was popular in his day. If he had not found a teacher in time, he would not have learnt English in two months. — If he had not found time teacher, he would not have learned English for two months. I want to draw your attention to the phrase in time / on time, the use of which sometimes causes difficulties. He would have died if the ambulance had not arrived in time — he would have died if the ambulance has not arrived on time. 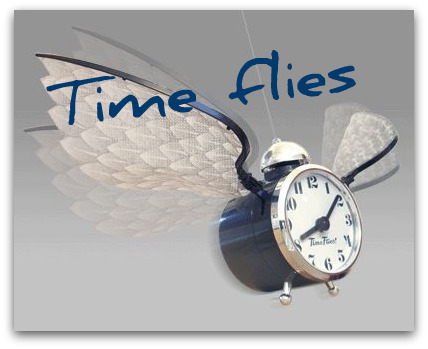 On the methods of expression of time and time management you can read in the articles of our blog. How to understand the language?